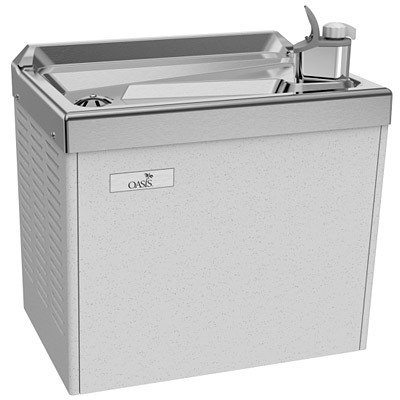 The Oasis PLF4CM Water Cooler delivers 4.0 gph of chilled drinking water. Cabinet finish shall be Sandstone powder coat paint on galvanized steel or brushed stainless steel. Cooling system shall use R-134a refrigerant. Shall be listed by Underwriters' Laboratories to U.S. and Canadian standards and conform to European Union Directives.